The Language of Displayed Art, first published in 1994, is a seminal work in the field of Multimodality and one of the few to be entirely dedicated to the analysis and interpretation of works of art. how it is composed (Compositional meaning). The second edition features: two new chapters; an extended discussion of Chapter 5 "Why Semiotics"; and an extended version of Chapter 7 with more illustrations of language forms, discourse norms and genres, as well as non-art visual modes. The book is now accompanied by a CD, created by the author and features a virtual gallery of twenty-eight additional paintings with questions to encourage analysis and interpretation, and model answers to these questions in the book’s appendix. The CD also includes a notebook for readers to record their own observations and ideas. 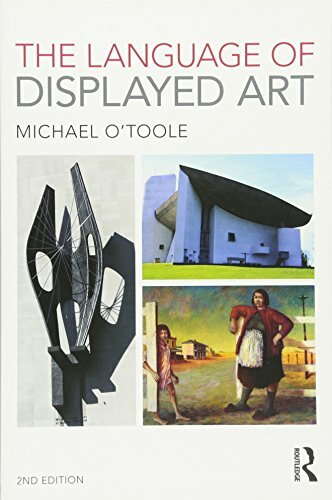 The Language of Displayed Art is an indispensable text for those studying Multimodality, Applied Linguistics, Language and Art.